ICEX-2014 began March 17 and was scheduled to continue through March 30. However, large shifts in wind direction created instabilities in the wind-driven ice floes of the Arctic Ocean, and these changes in the prevailing winds between March 18th and March 20th led to multiple fractures in the ice near the camp. These cracks prevented the use of several airfields used for transporting personnel and equipment to the ice camp. The rapidly changing conditions of the ice, along with extremely low temperatures and poor visibility hampered helicopter operations and made sustaining the runway potentially risky. Submarines have conducted under-ice operations in the Arctic regions in support of inter-fleet transit, training, cooperative allied engagements and operations for more than 50 years. USS Nautilus (SSN 571) made the first submerged transit to the North Pole in 1958. USS Skate (SSN 578) was the first U.S. submarine to surface through arctic ice at the North Pole in March 1959. Since those events, the U.S. 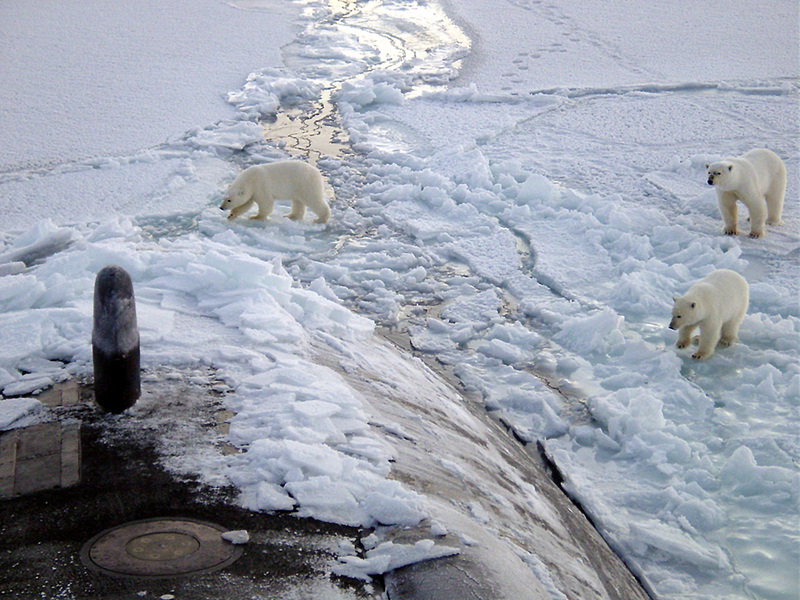 Submarine Force has completed more than 120 Arctic exercises with the last being conducted in 2012. The last ice camp was established in 2011. Since 1987, most of these have been conducted in conjunction with Royal Navy submarines. By Caitlin Werrell and Francesco Femia in national security, United States on March 25, 2014 .